I know how to knit and crochet, and if you check out my patterns page you'll see that I've made a few items. I am self-taught using mostly internet resources, so below you'll find ones I find useful! 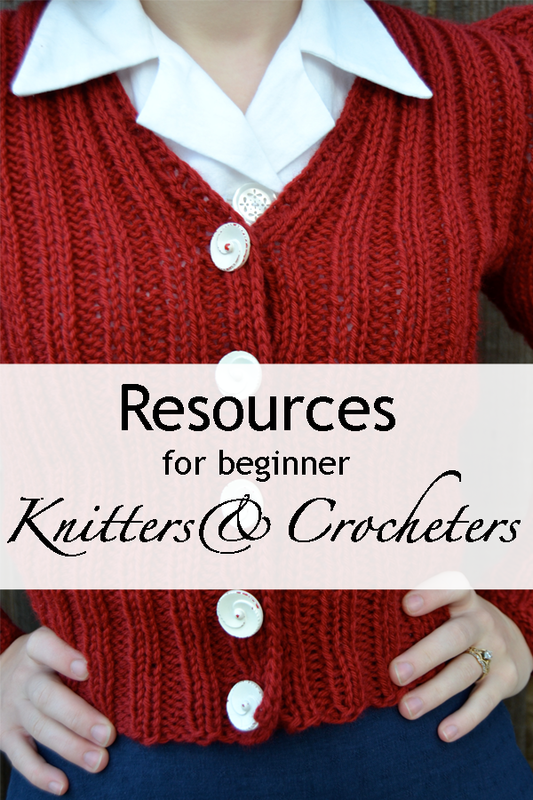 Do you know of any other resources that would help a beginner knitter/crocheter? Feel free to include offline resources, too! What a thorough, terrific directory. Thank you very much for putting this together. I know where I'll be pointing someone the next time they ask me a knitting or crochet question (I don't do either myself, but do get questions about them from time-to-time from blog readers).